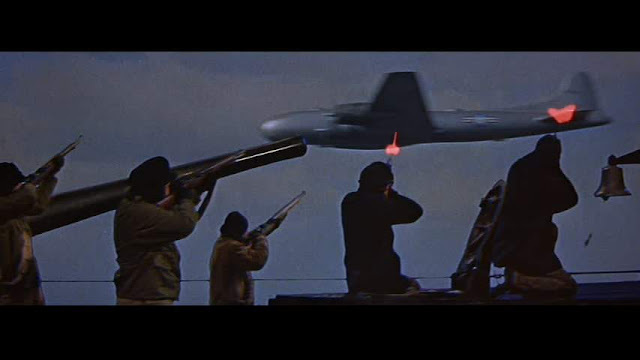 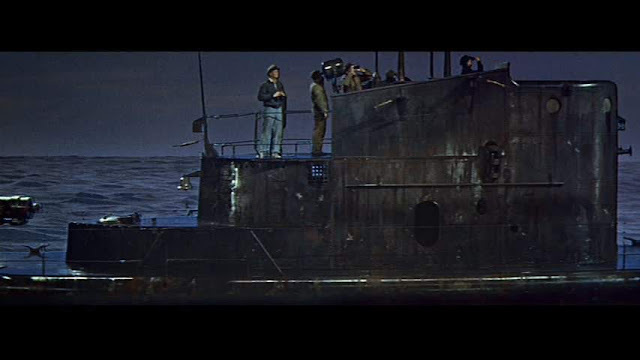 With bucket loads of cool Cinemascope model sub action, this comic book cold war movie is a fine example of the best quality miniature work from the period. 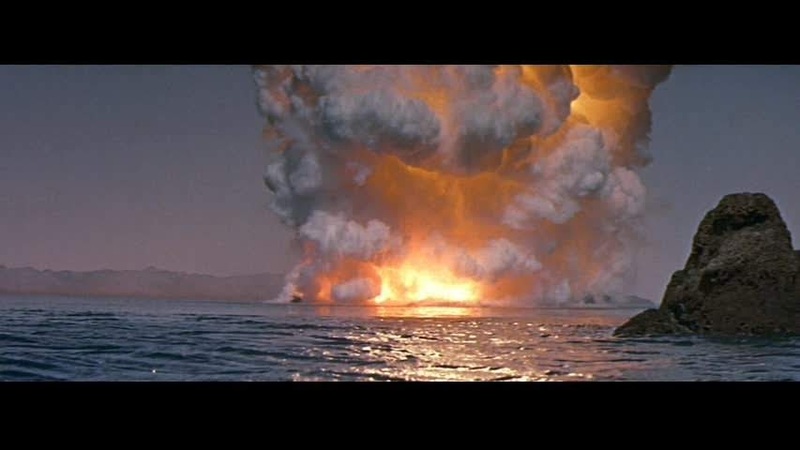 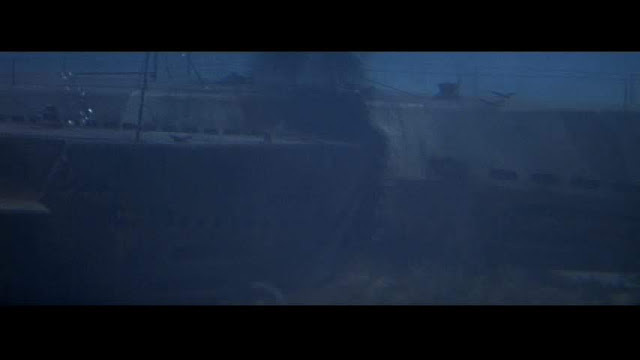 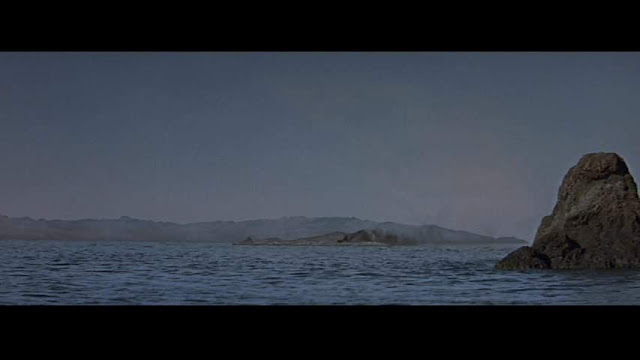 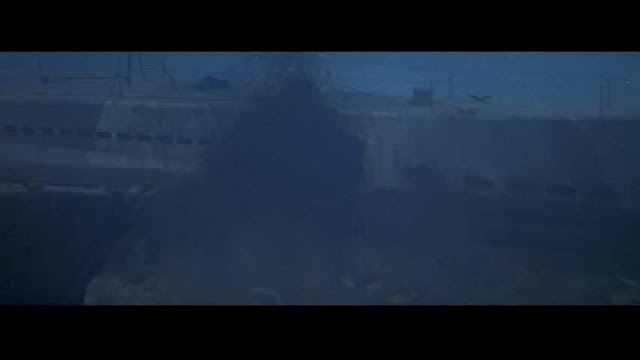 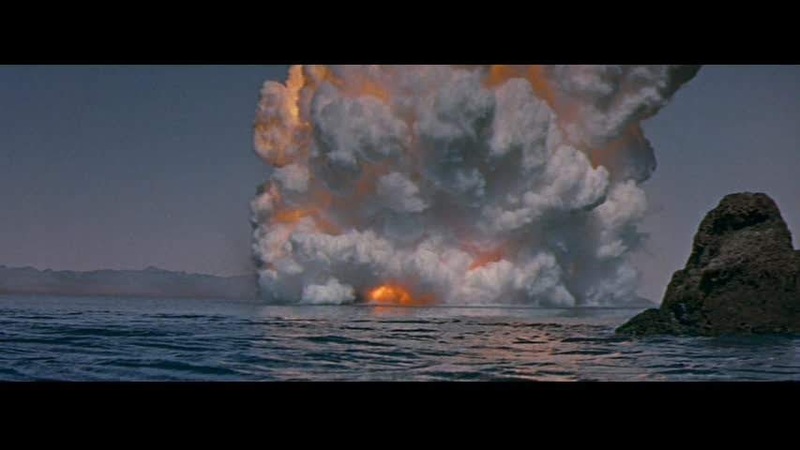 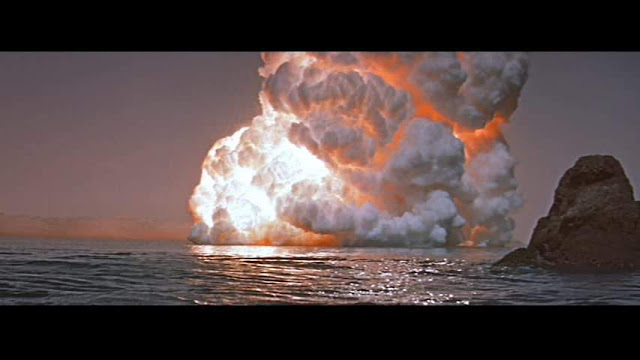 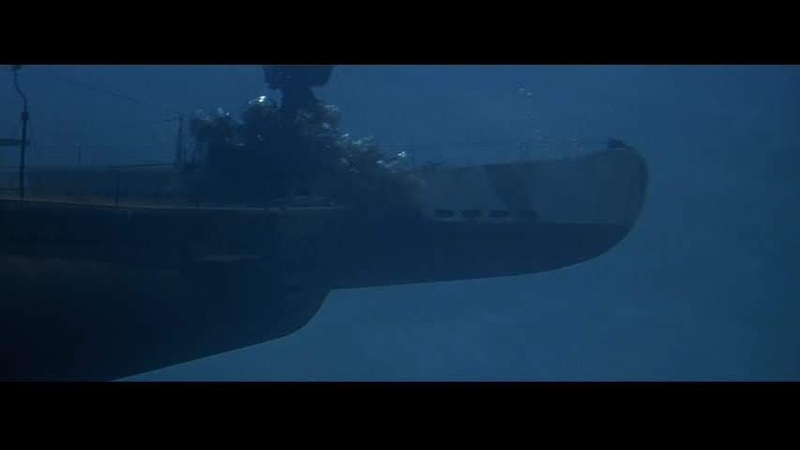 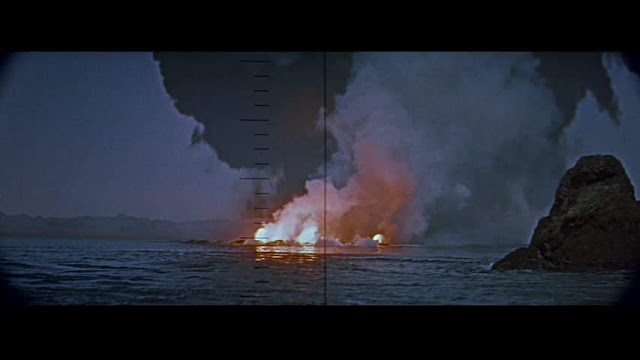 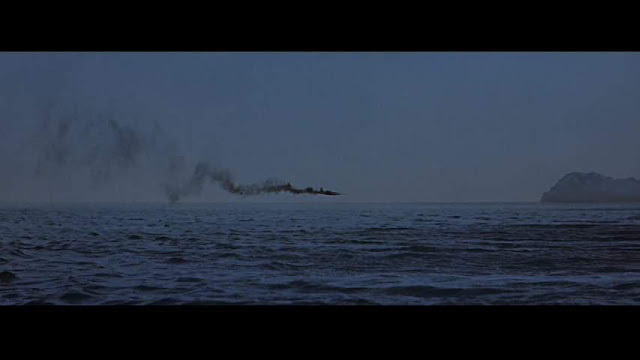 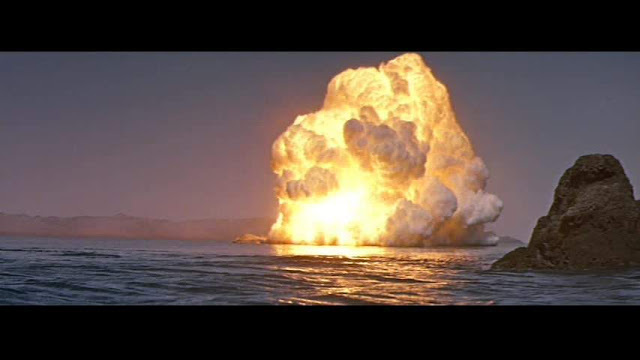 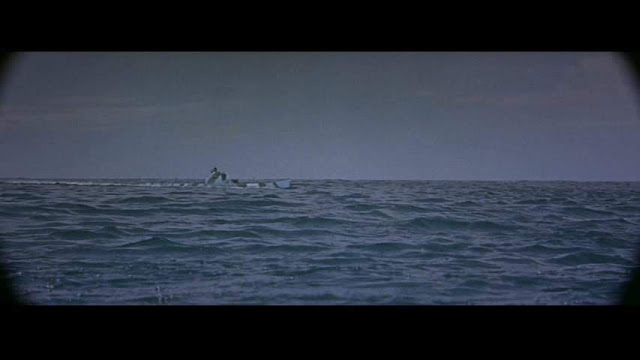 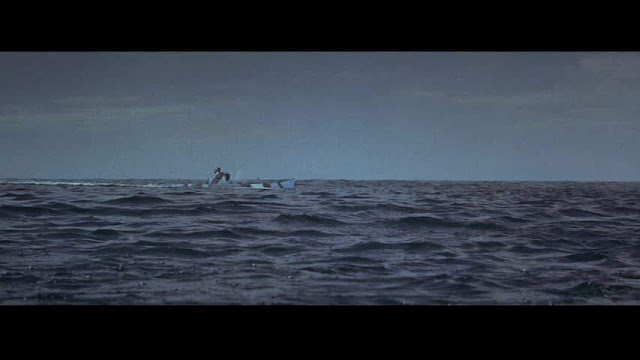 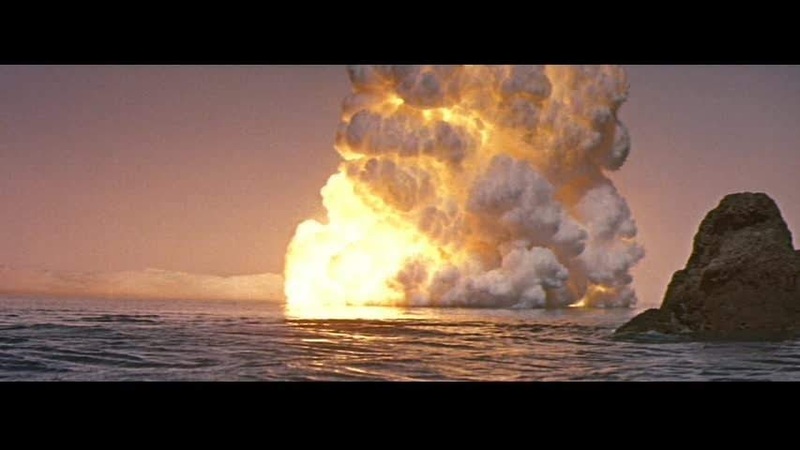 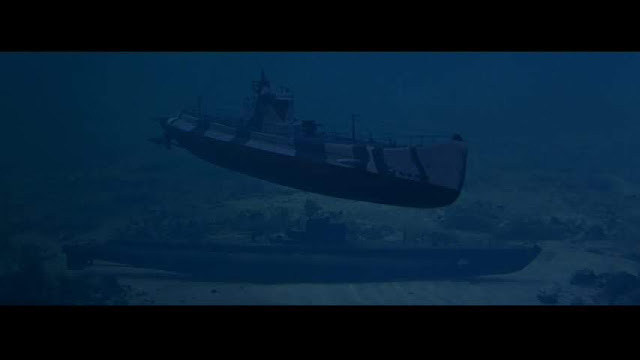 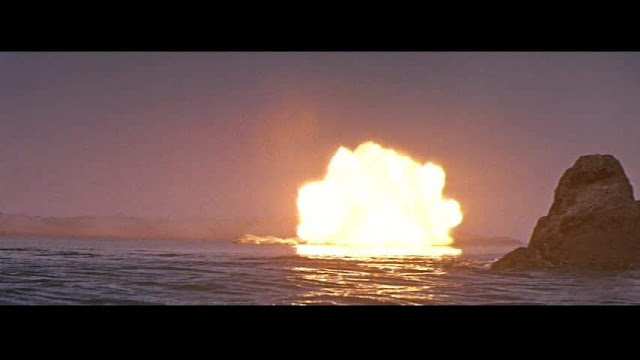 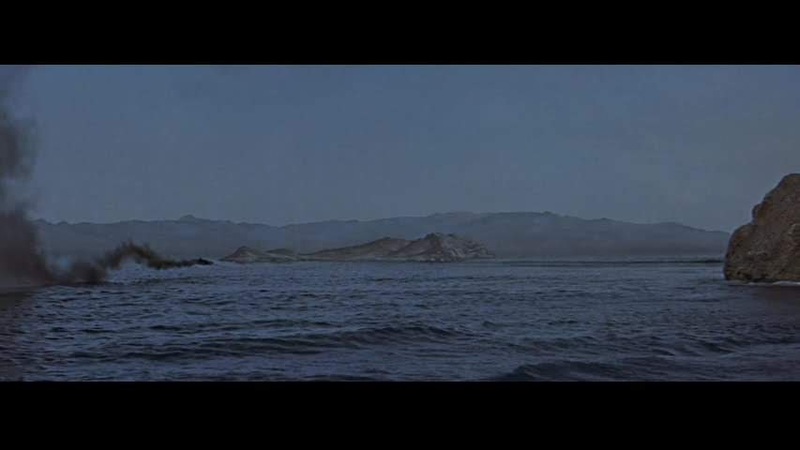 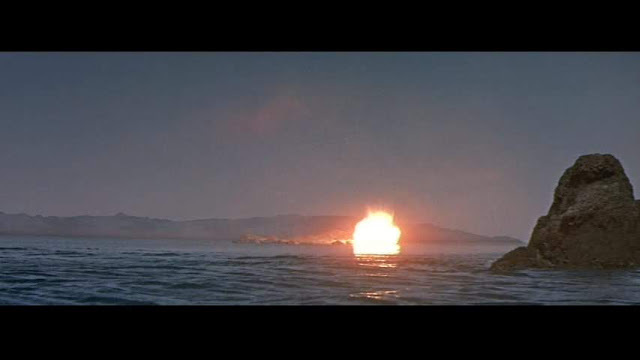 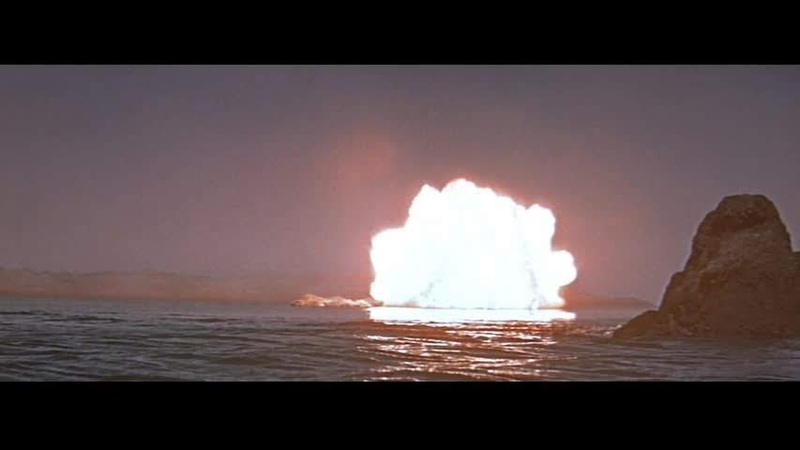 There is a sequence consisting of the destruction of large fuel tanks lifted almost entirely from another terrific sub movie "Crash Dive" whose effects were handled by the legendary Fred Sersen. 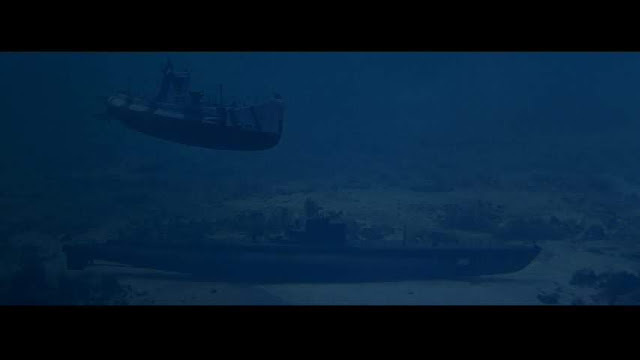 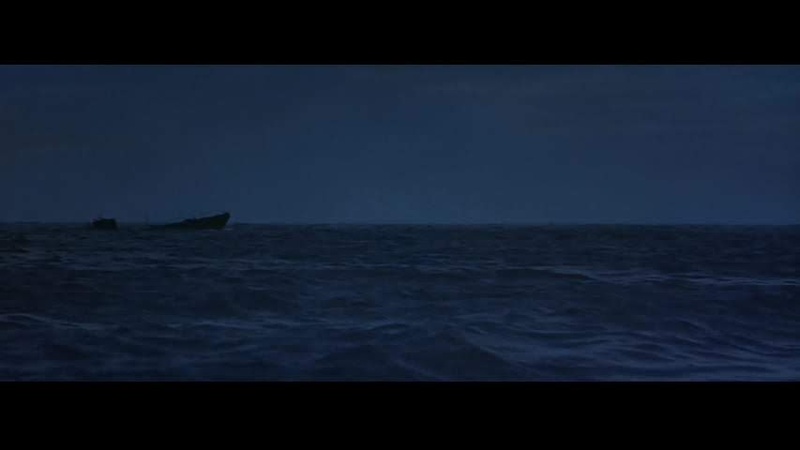 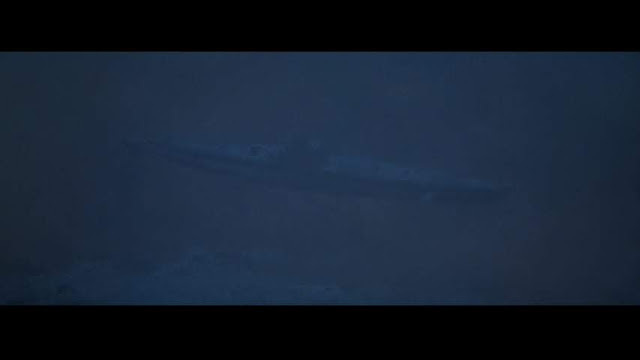 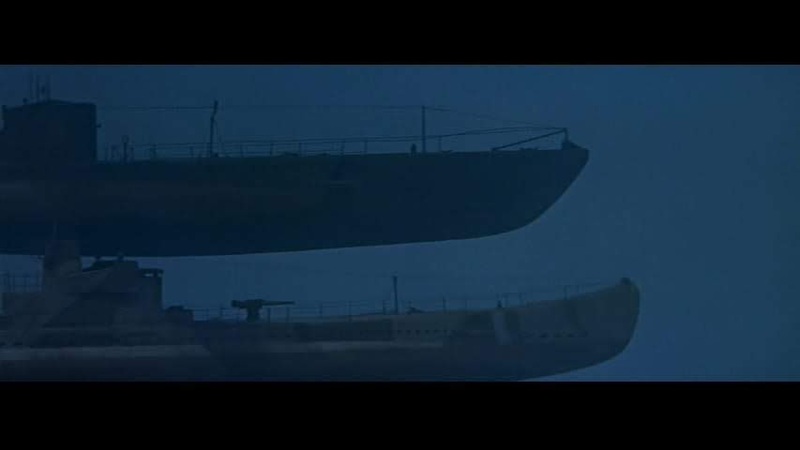 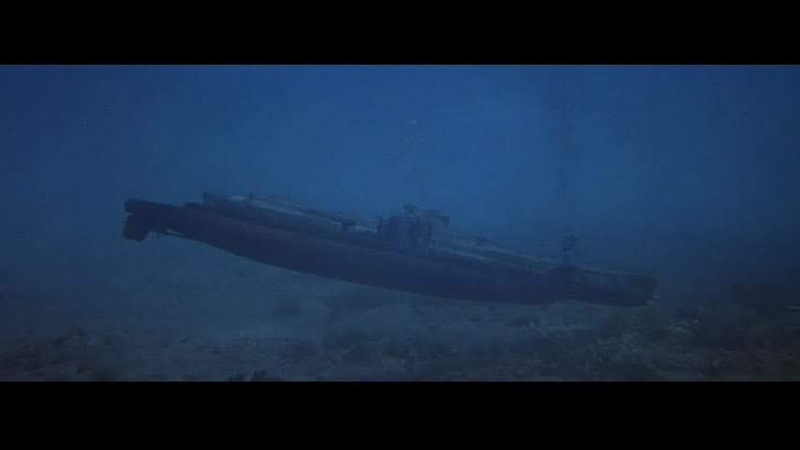 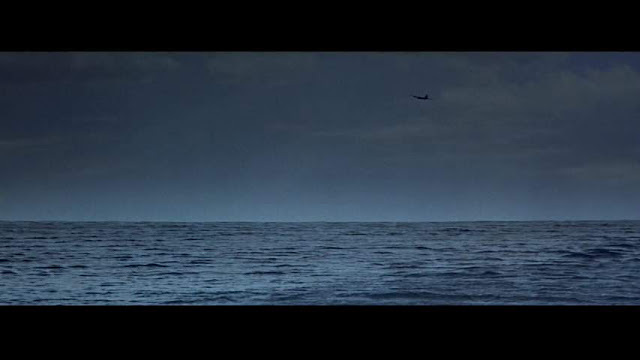 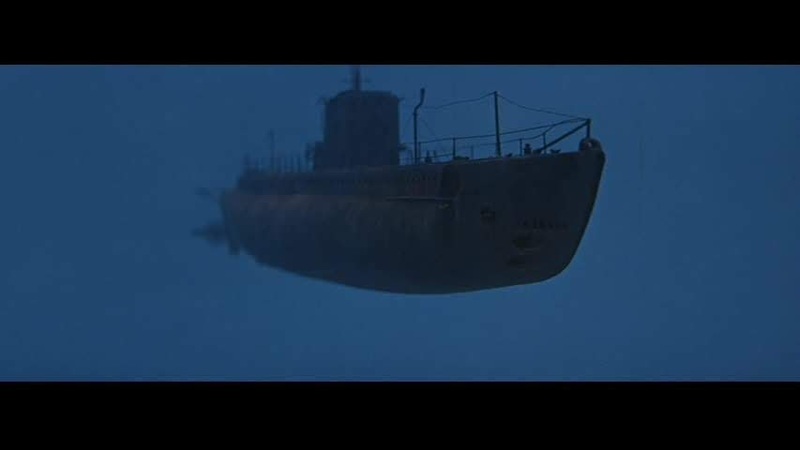 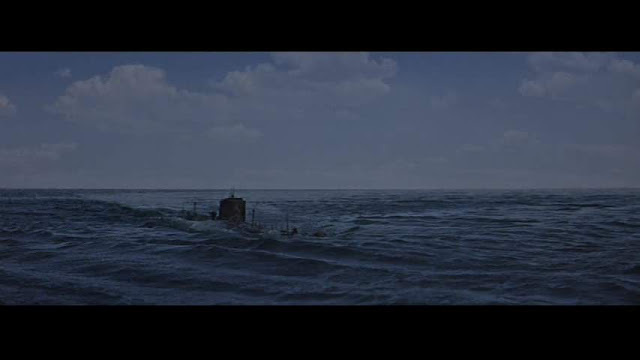 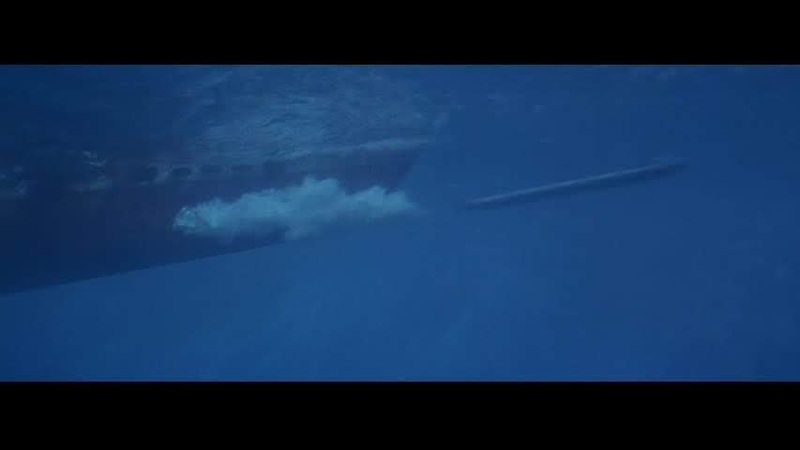 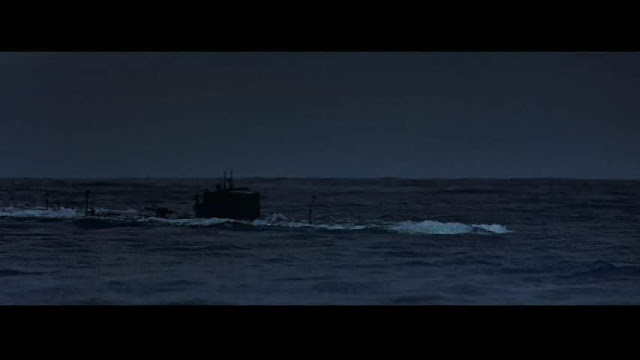 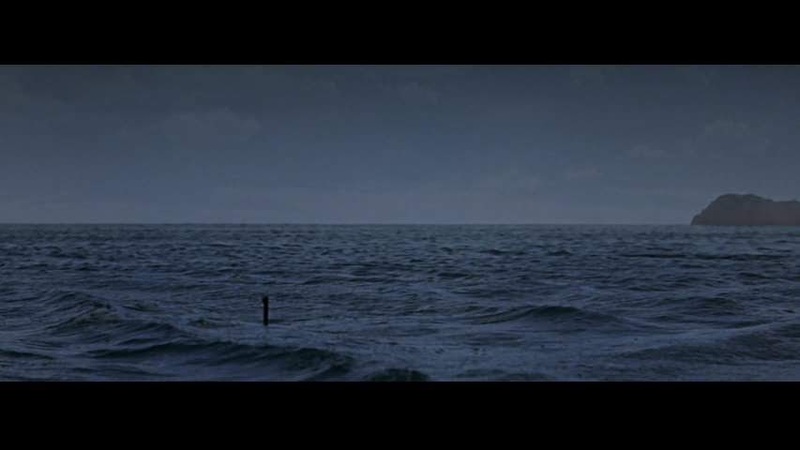 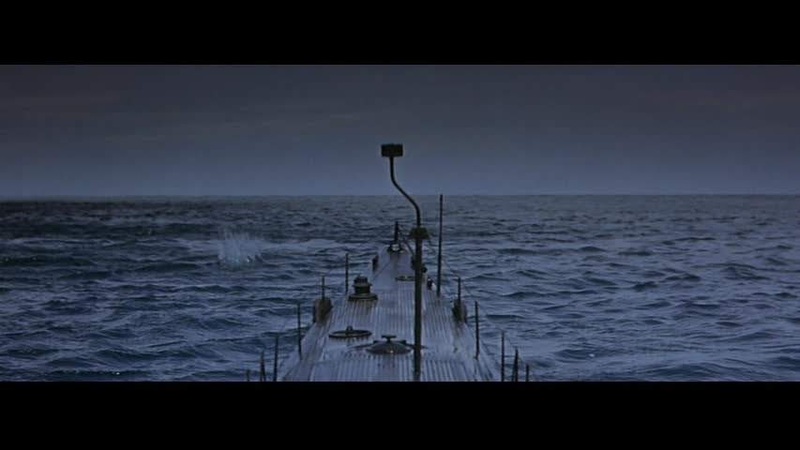 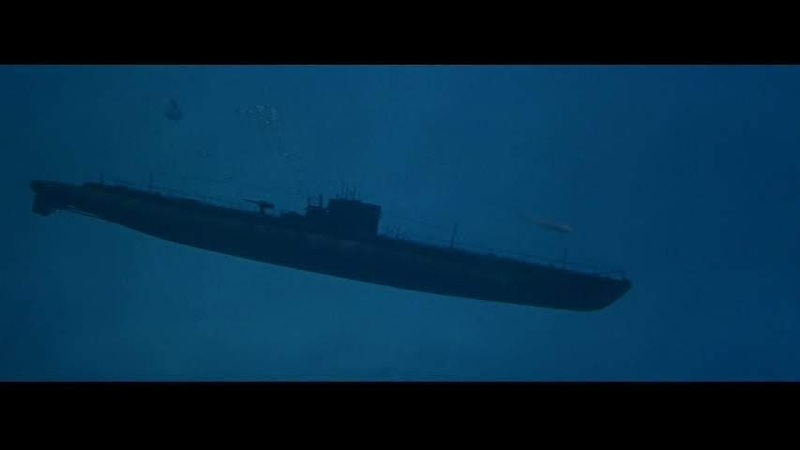 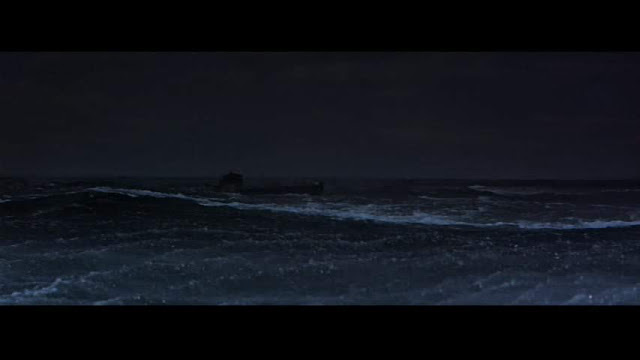 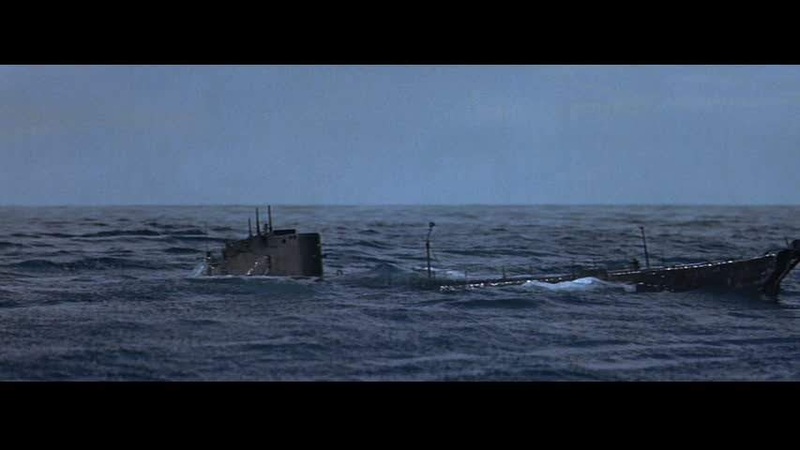 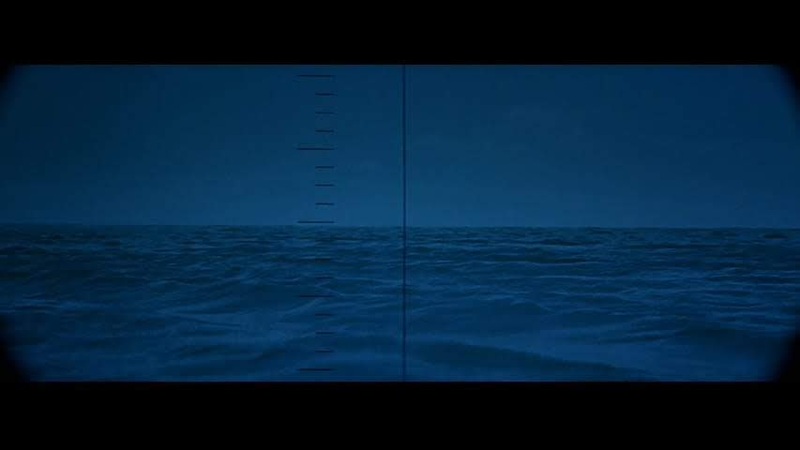 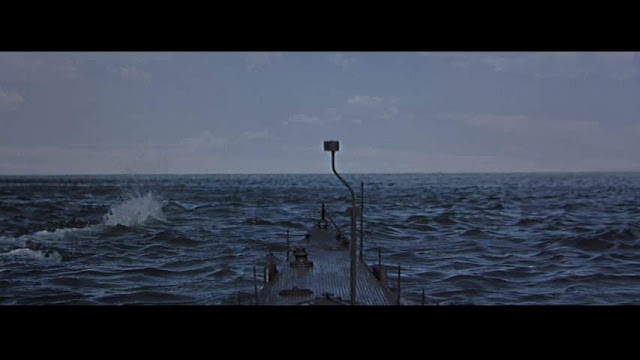 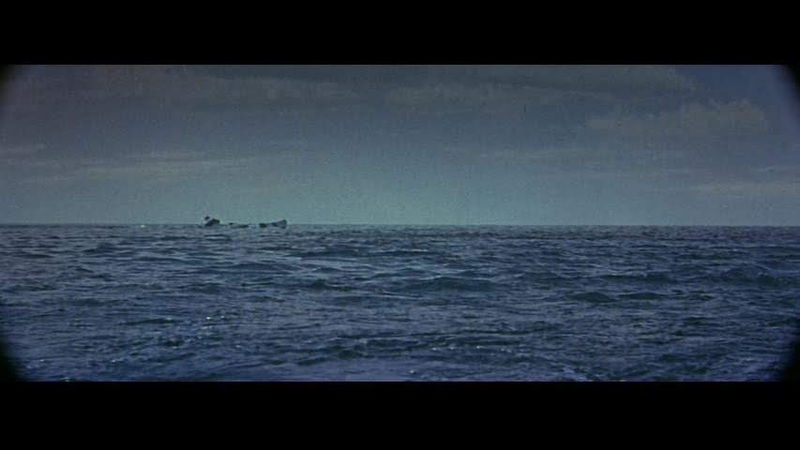 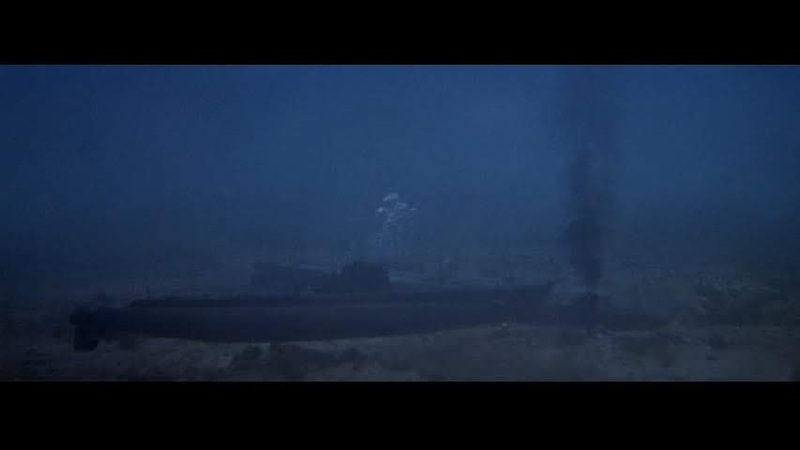 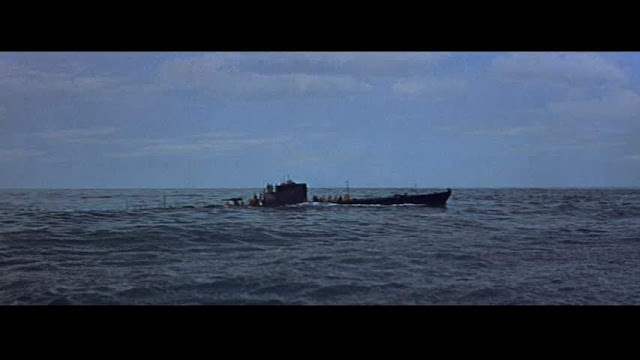 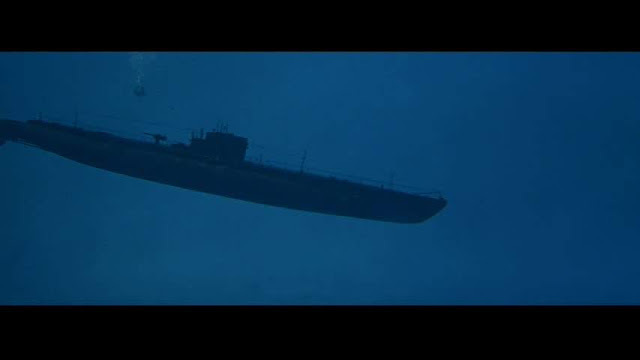 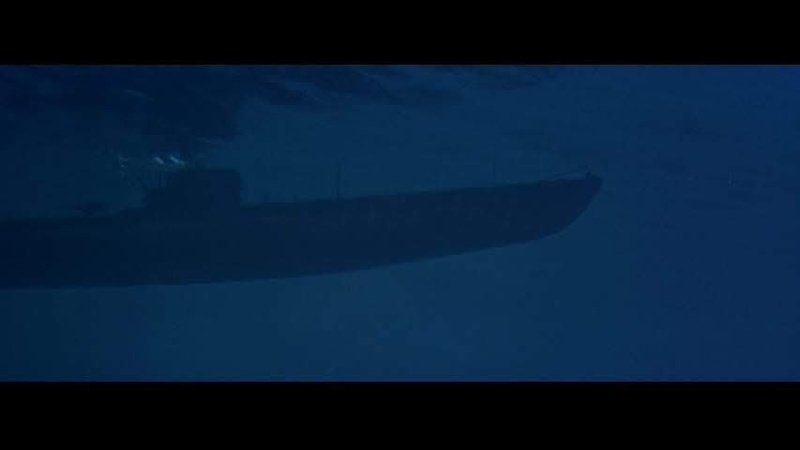 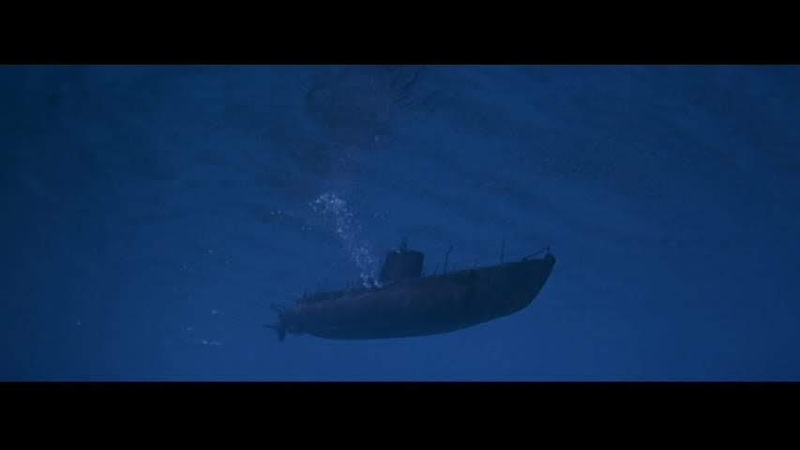 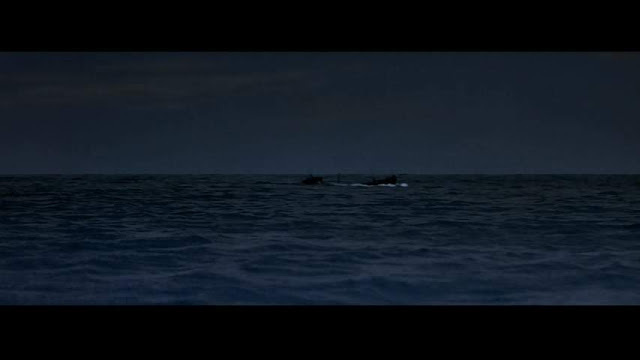 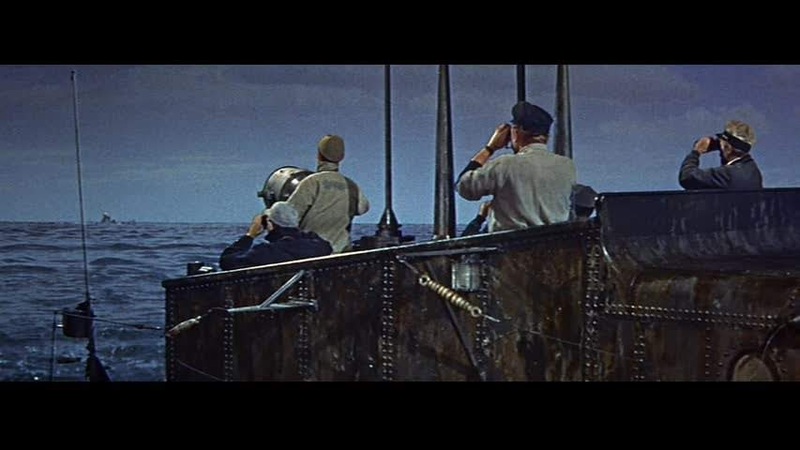 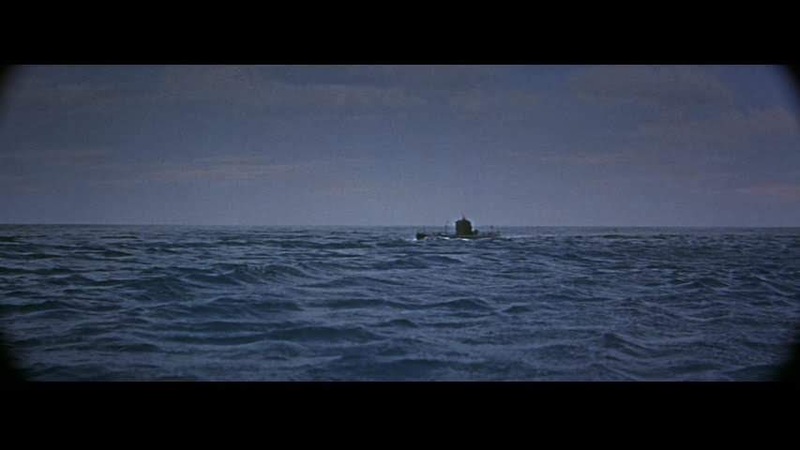 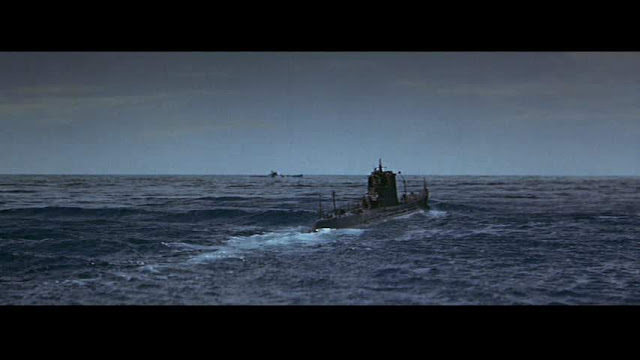 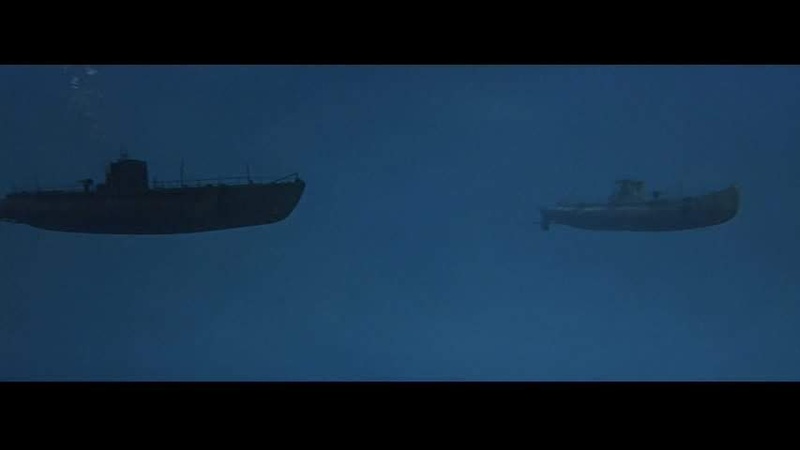 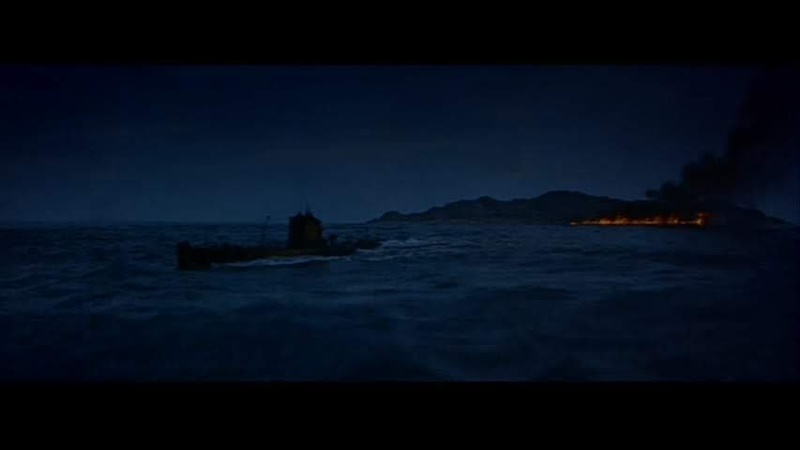 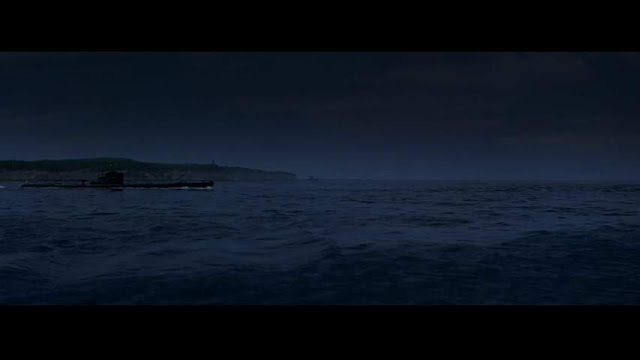 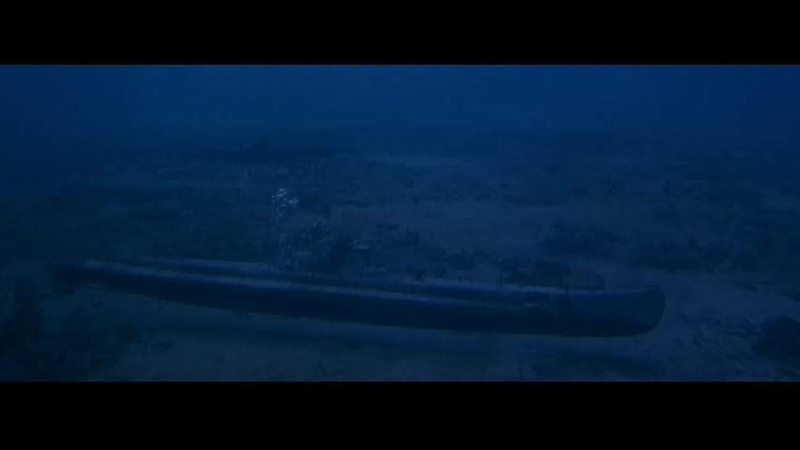 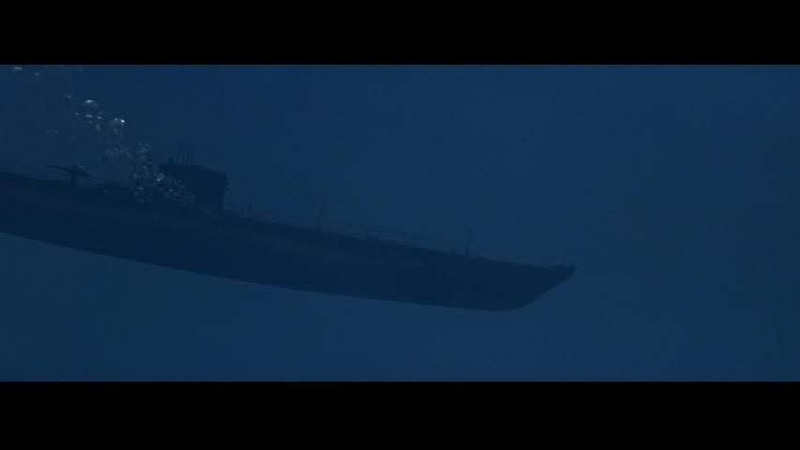 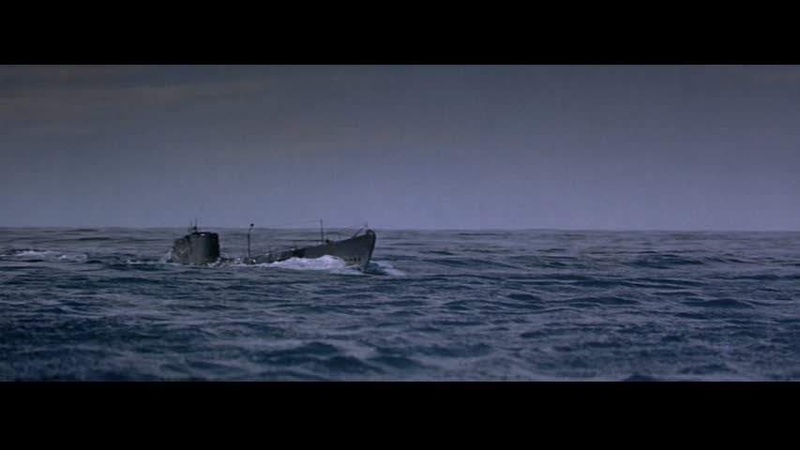 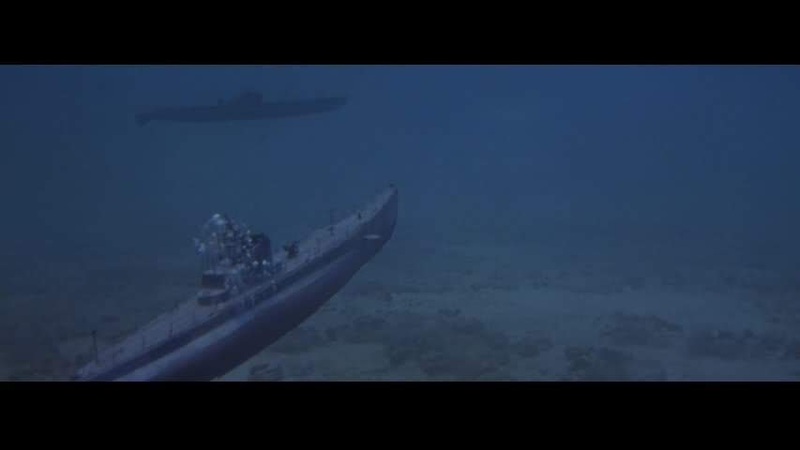 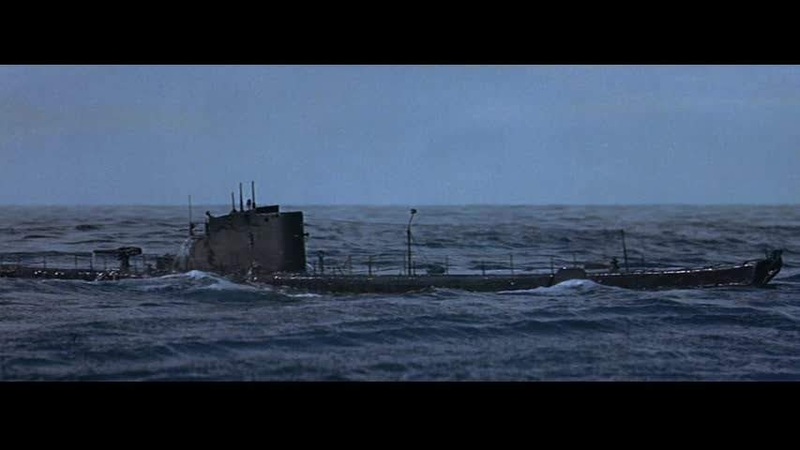 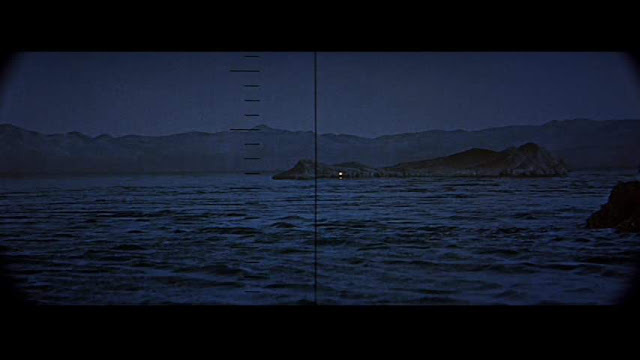 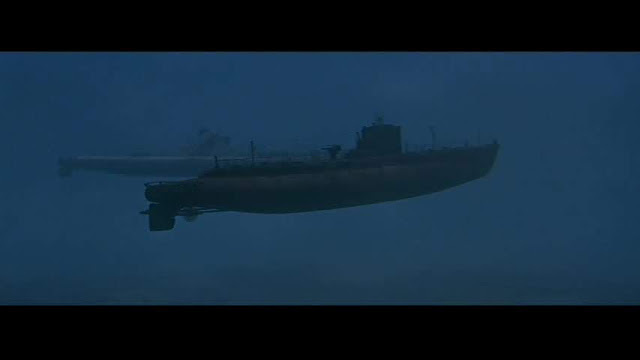 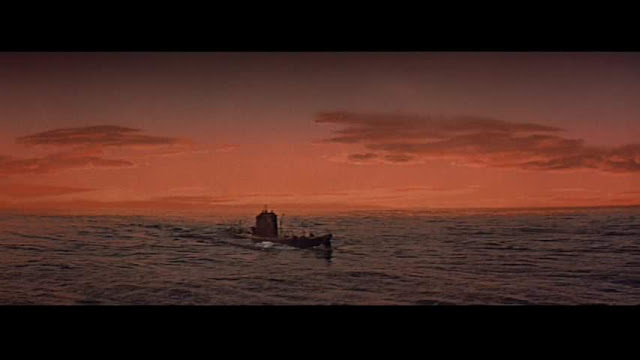 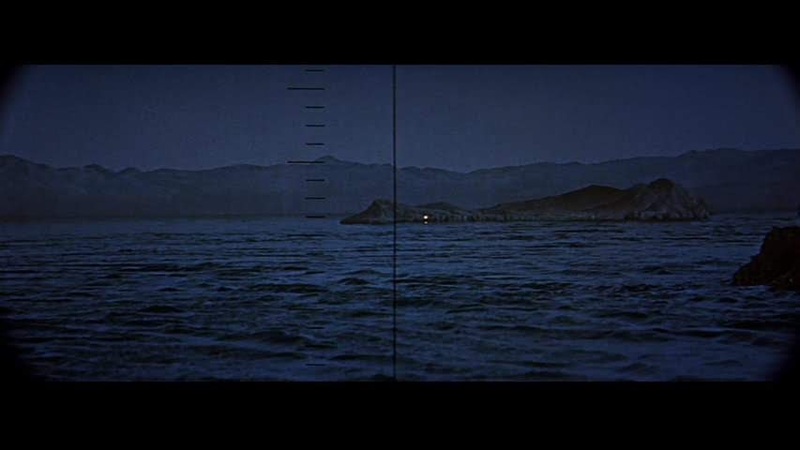 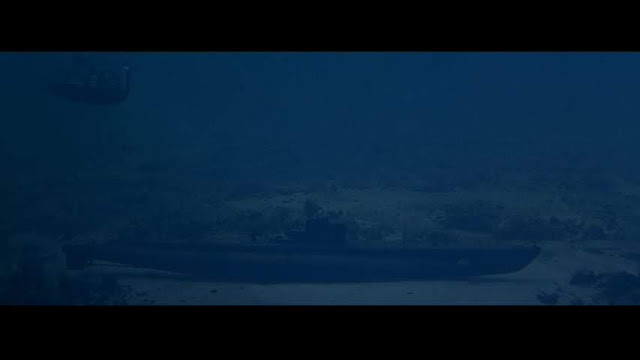 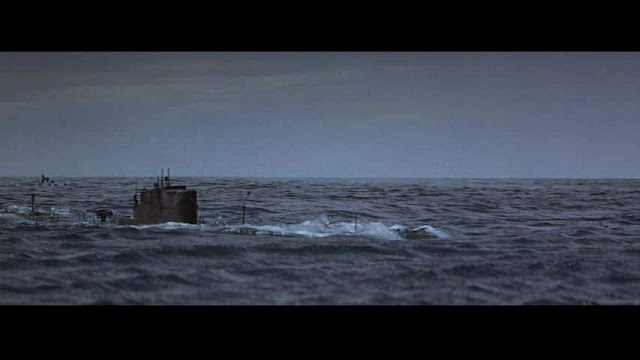 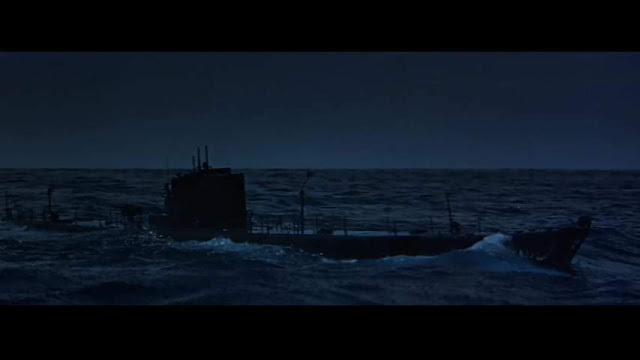 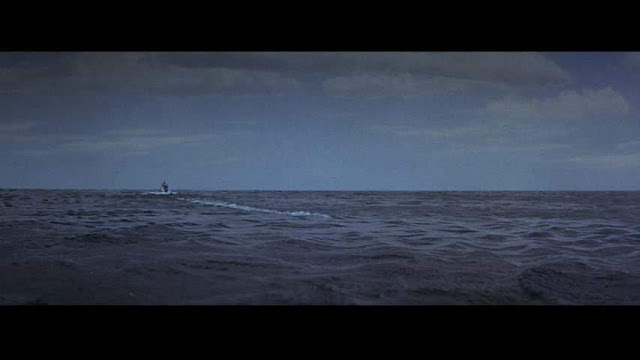 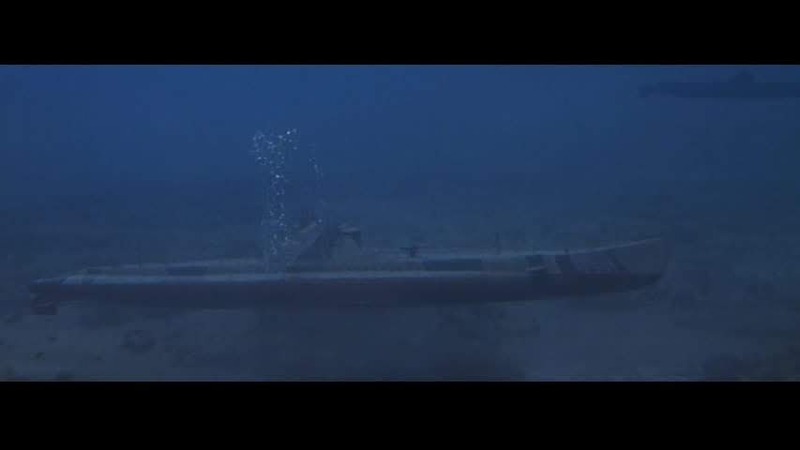 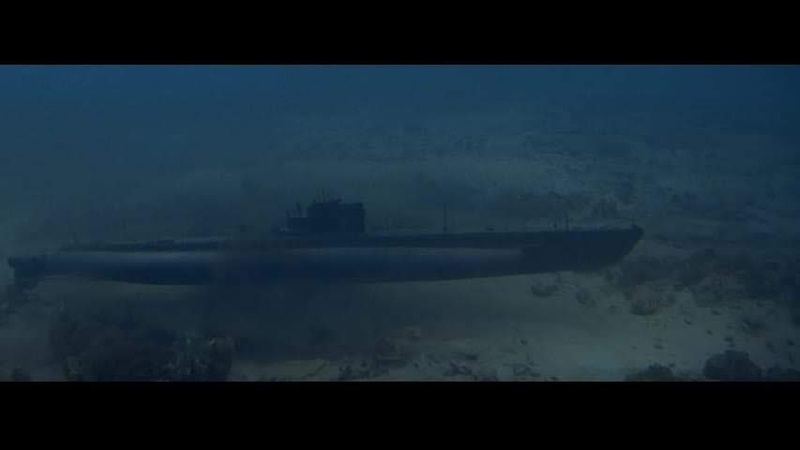 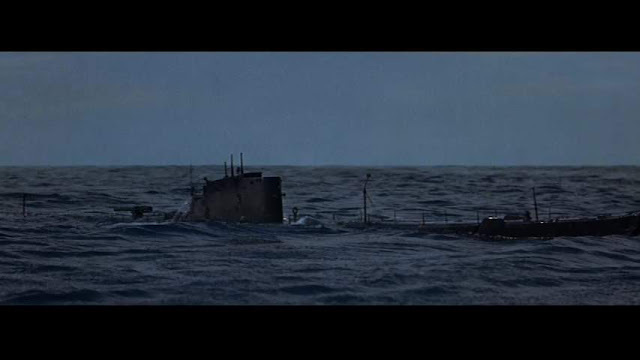 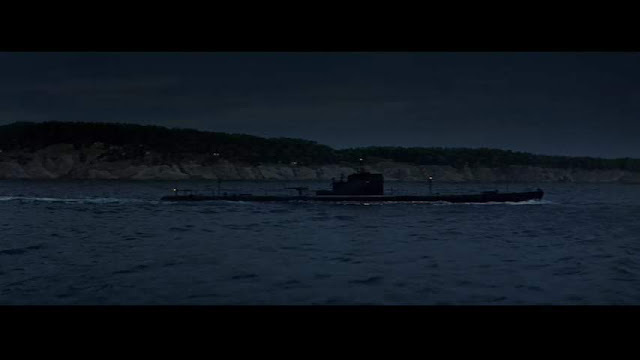 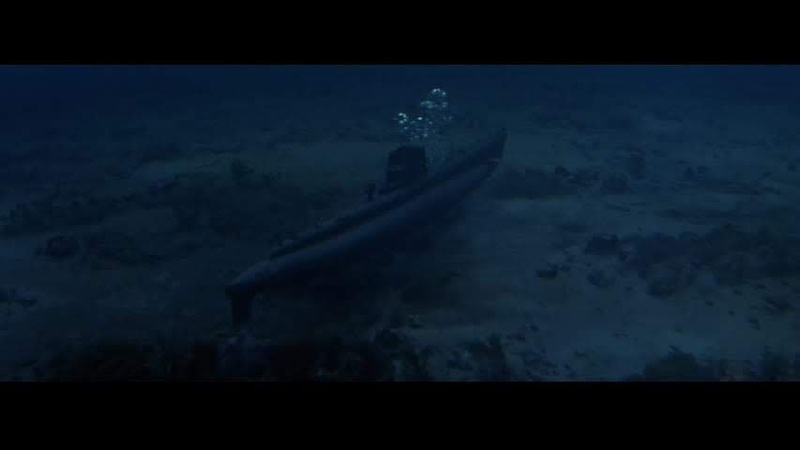 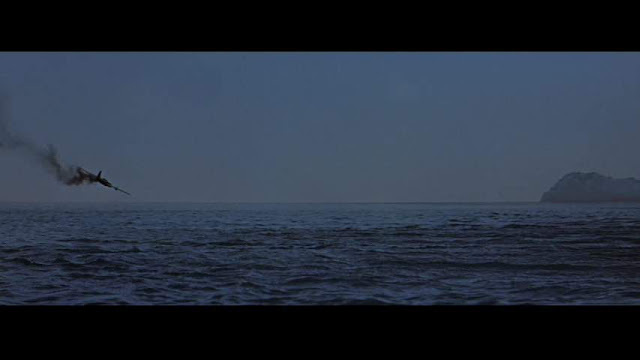 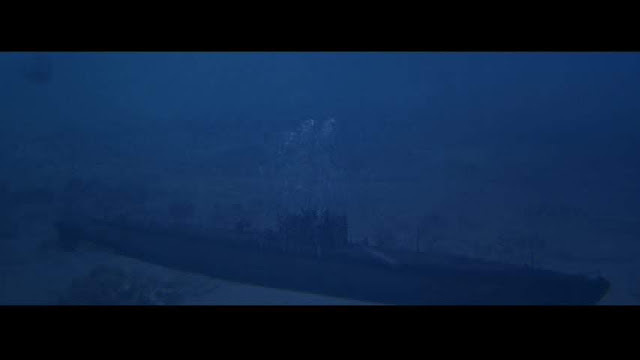 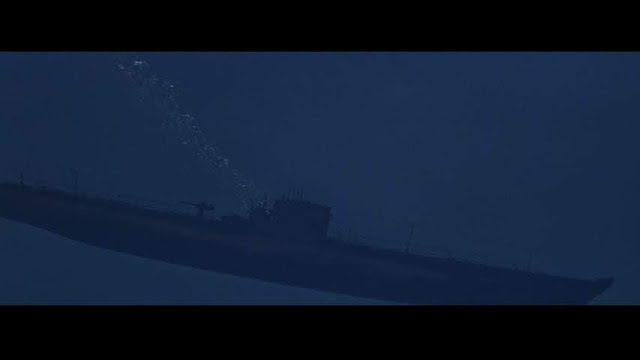 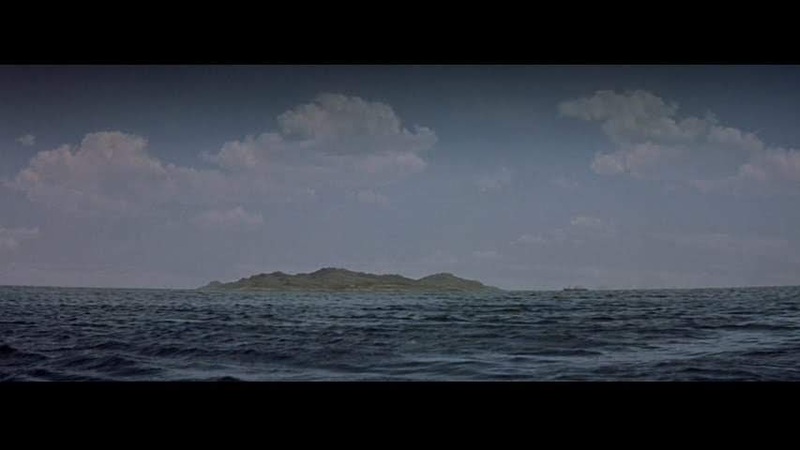 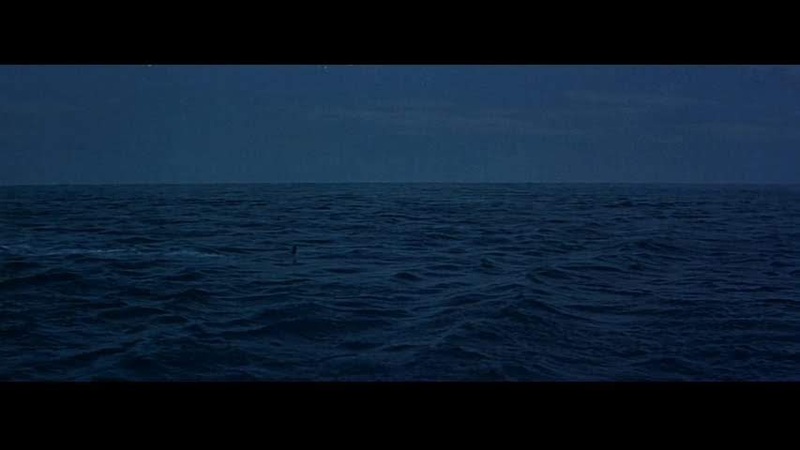 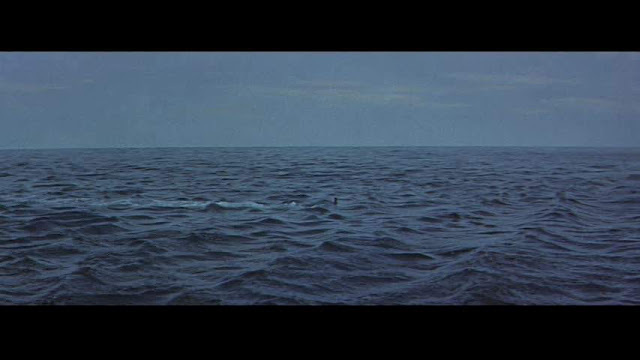 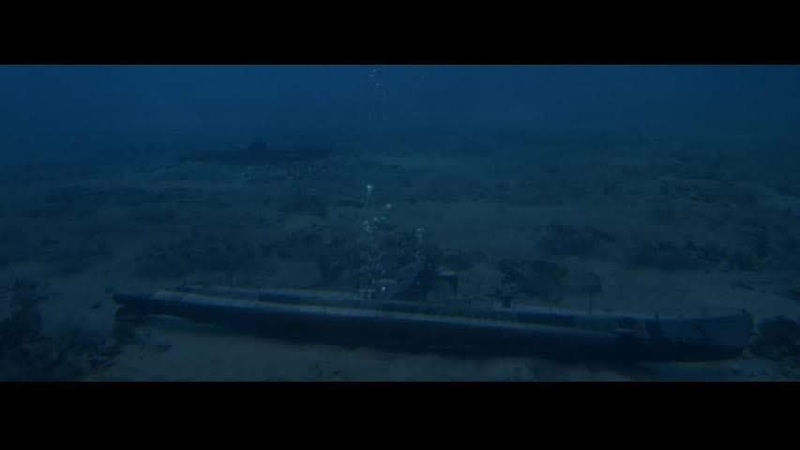 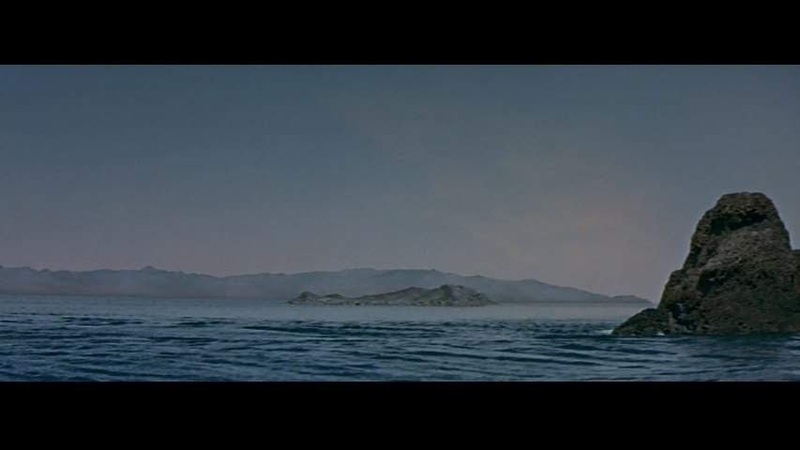 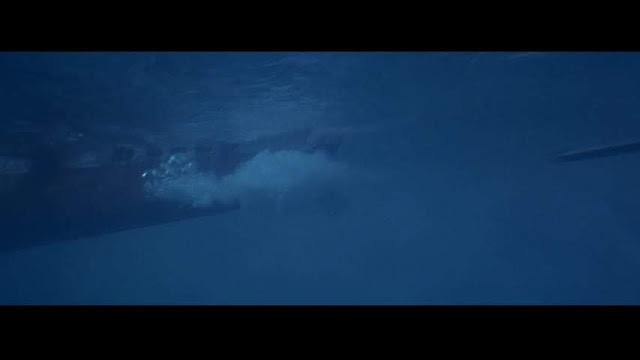 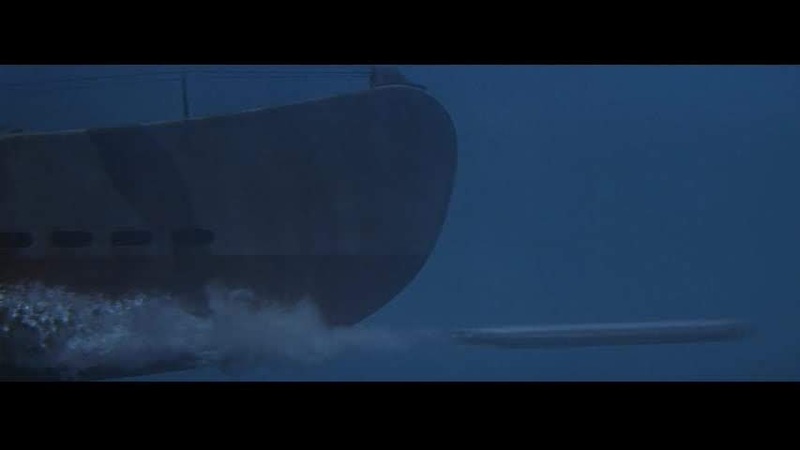 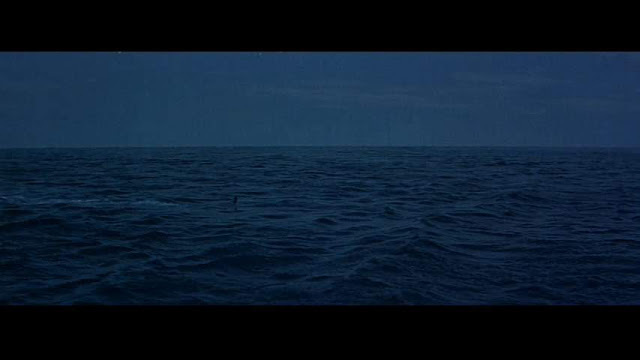 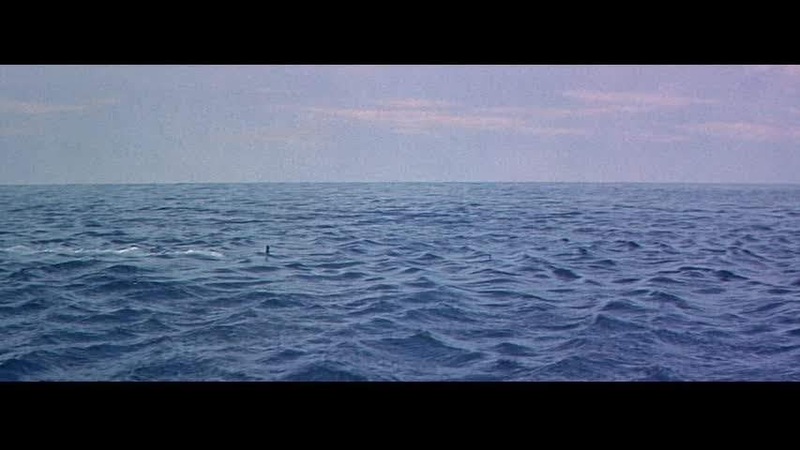 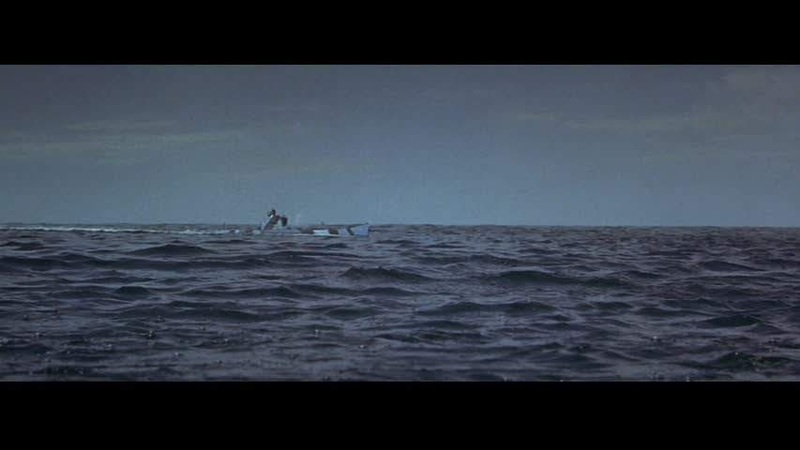 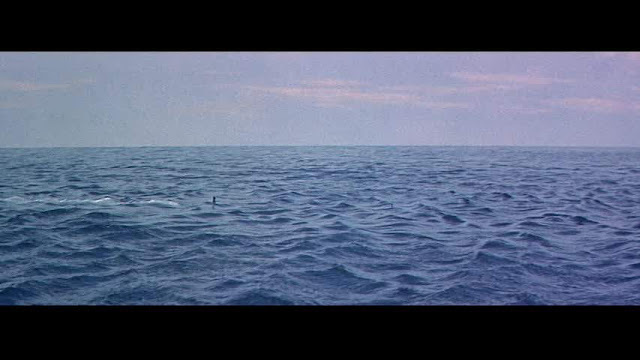 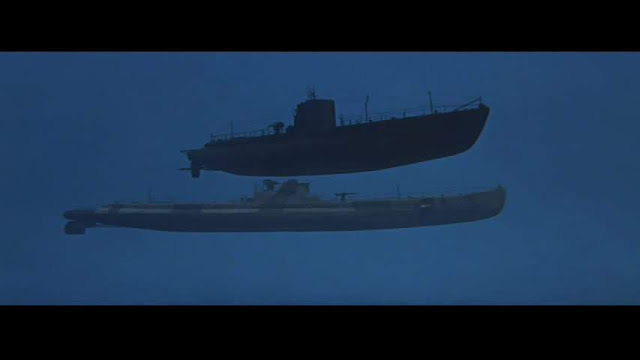 It may be that the miniature sub is the same model as that from Crash Dive as well even though it is supposed to be an ex WW2 Japanese sub in the film. 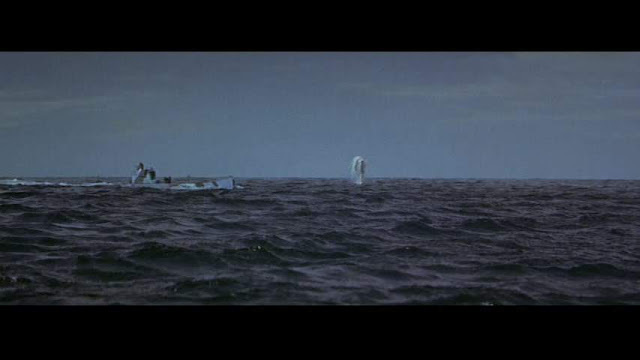 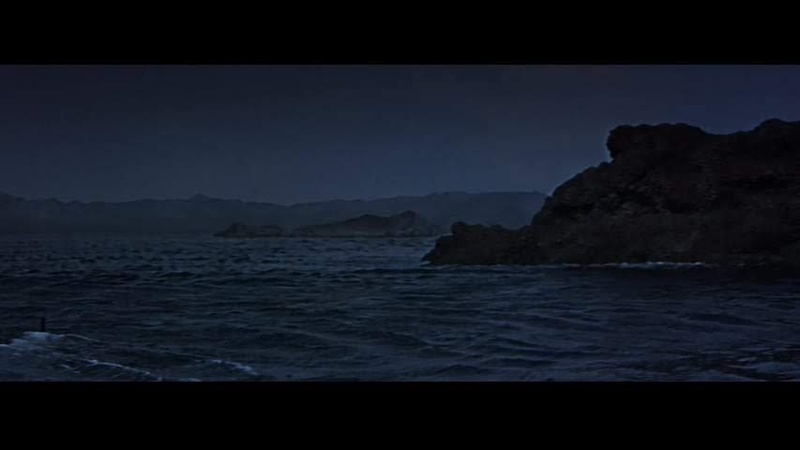 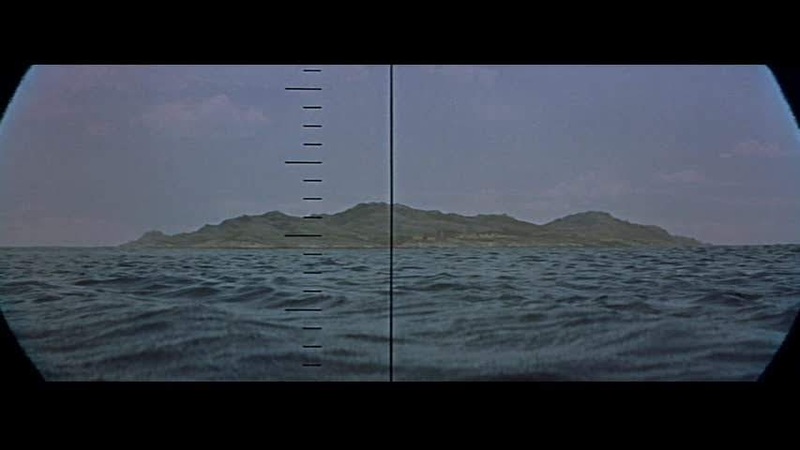 Ray Kellog, is credited with the special photographic effects and the results are fairly impressive. He became head of the special effects department at 20th Century Fox in 1952 after Fred Sersen. 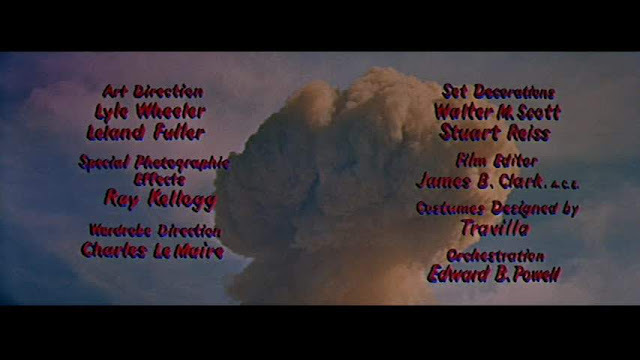 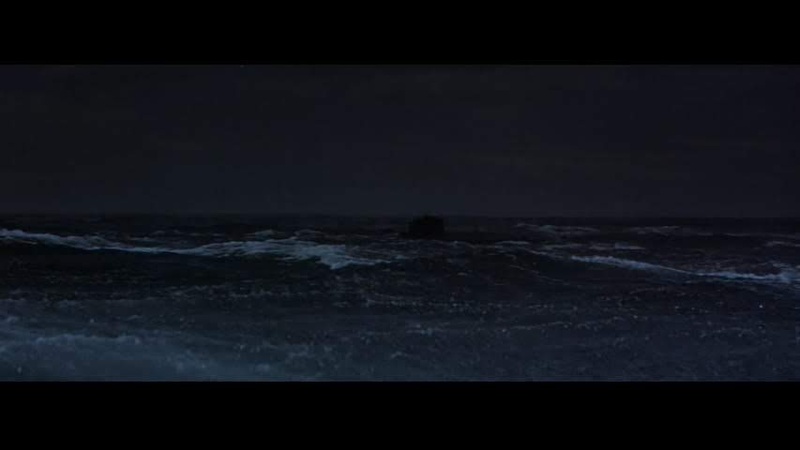 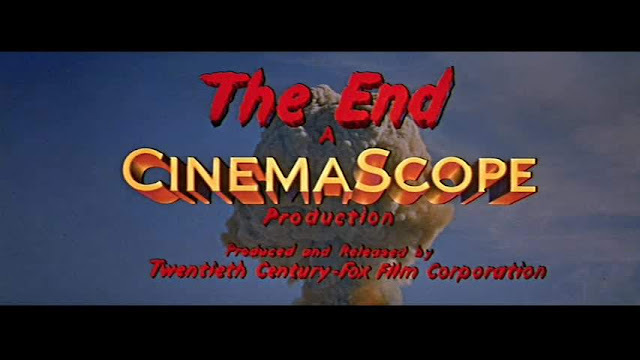 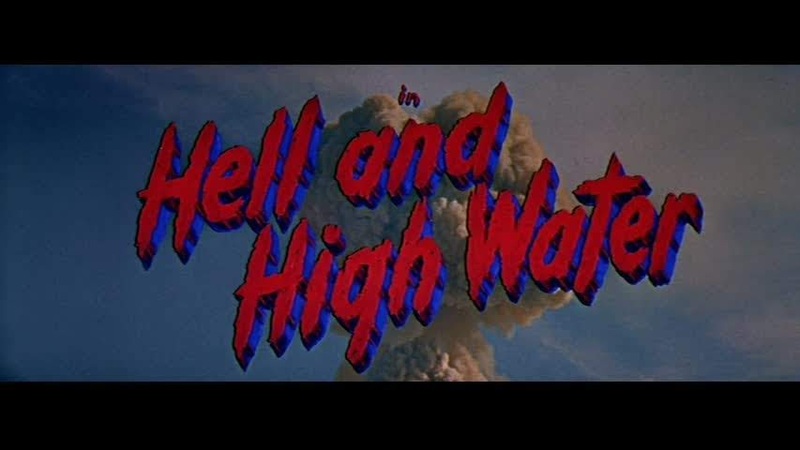 The miniature atomic explosion that precedes the title and reappears at the end is a spectacular pyrotechnic effect. 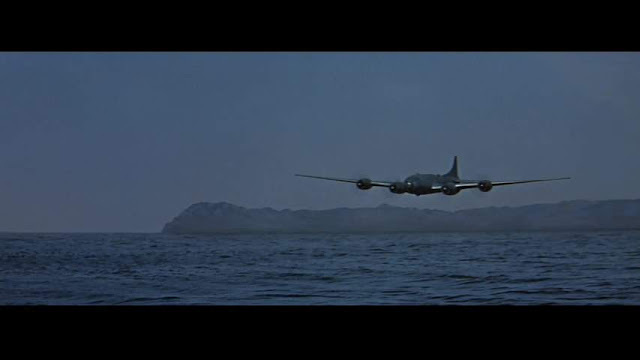 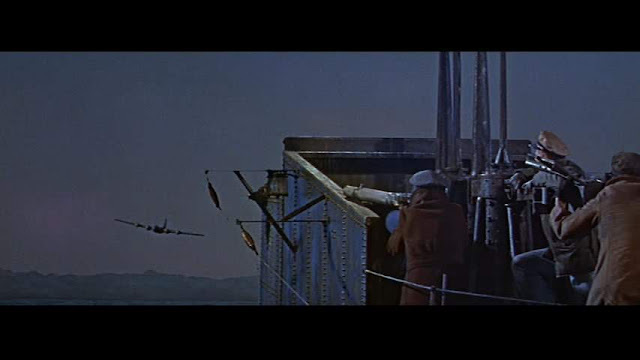 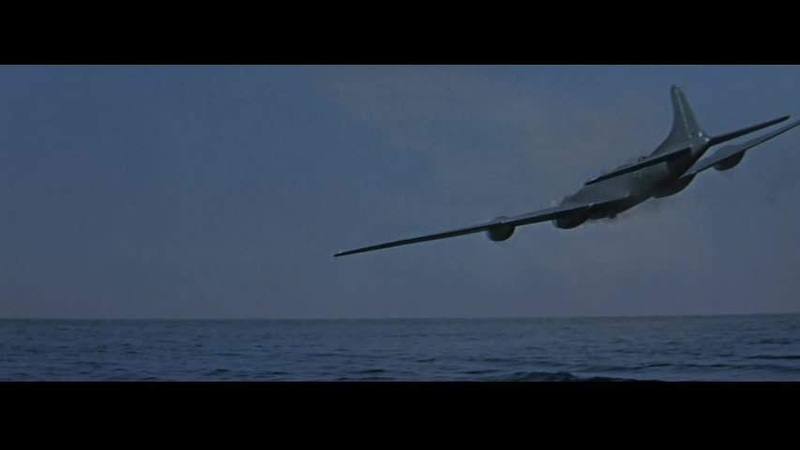 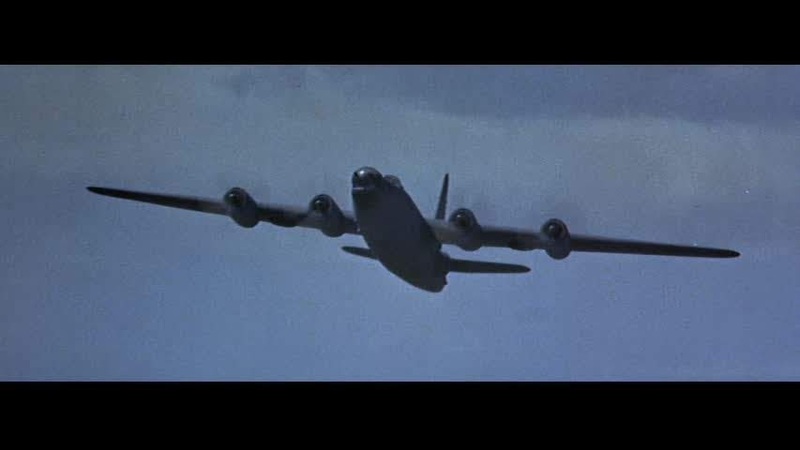 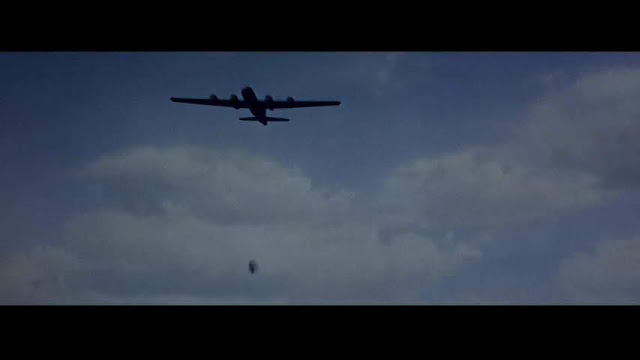 There is a model plane and a matte painting which is, I think, supposed to be a B29 but which doesn't look much like one at all. 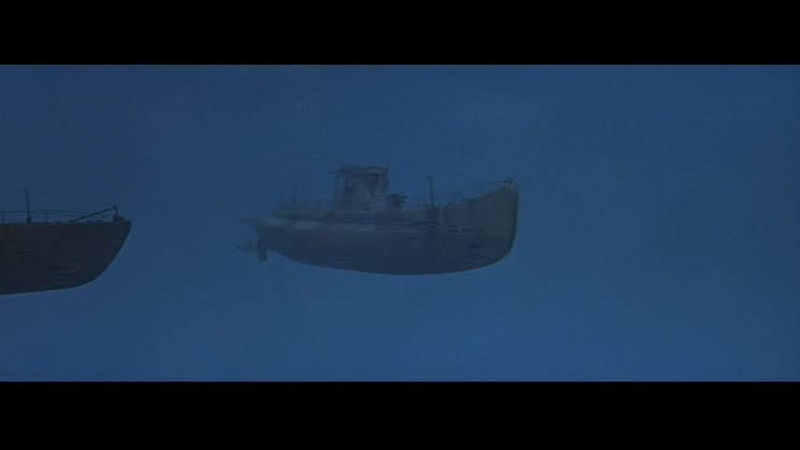 I was wondering: were the models of the bad-guy-sub used in the 1966 episode of Voyage to the Bottom of the Sea entitled "The Phantom Strikes?" "It may be that the miniature sub is the same model as that from Crash Dive as well even though it is supposed to be an ex WW2 Japanese sub in the film." 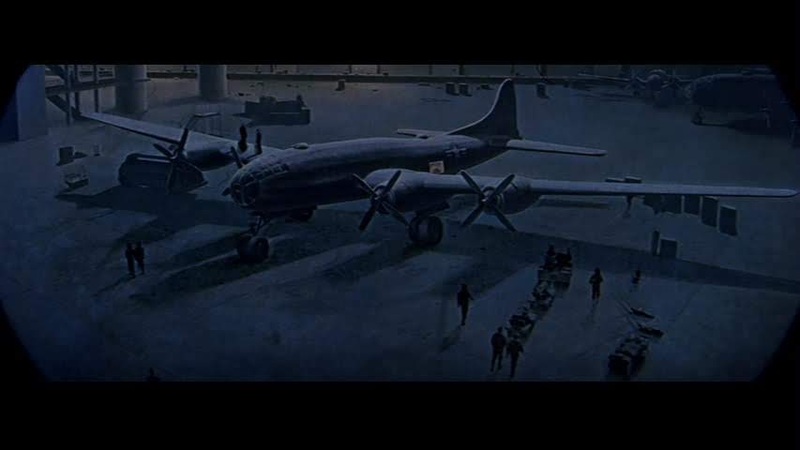 I suspect that you are right on this point. 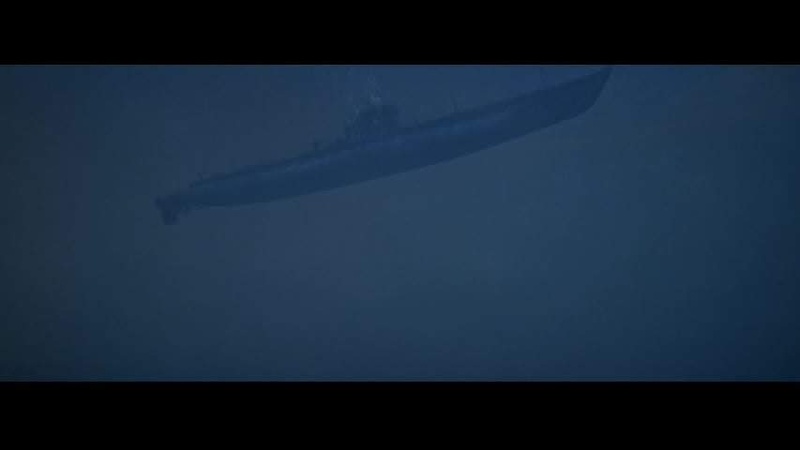 I believe that the ex-IJN sub is supposed to belong to the class shown in this pretty nice little clip. 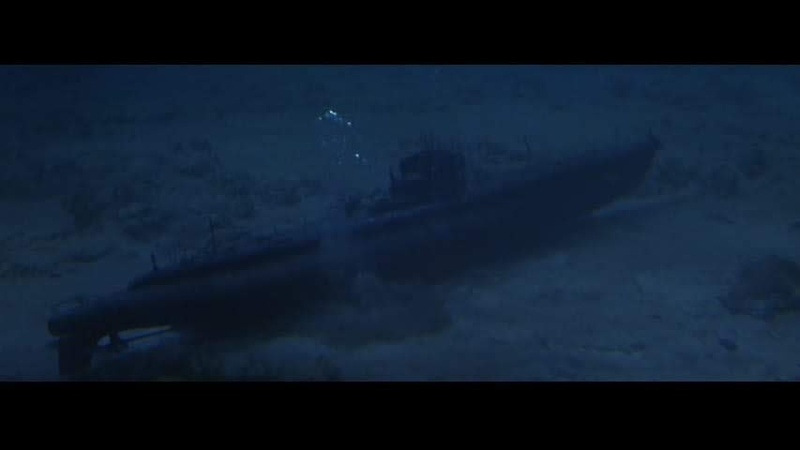 Very different from the model. So don't know if they did some checking or if it was a happy accident.